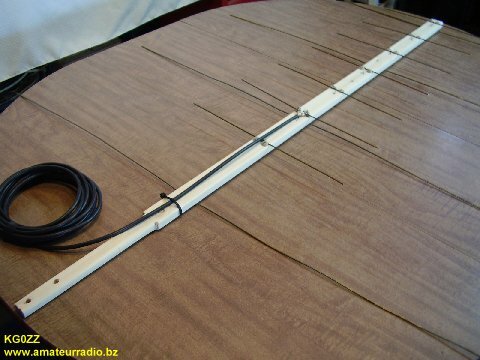 Easy to make yagi antennas, inverted V dipole antennas and more. A mix of ham radio and other fun projects. Links to antennas, online calculators, homebrew projects and more. Pictures of antennas sent in by fellow antenna builders. Visit my YouTube Channel for my latest videos. "Hi, I'm Dave, KG0ZZ. I've been a licensed amateur radio operator since 1993 and my favorite part of the hobby is building antennas!" My original clip art is back! My classic web images have found a new home on the Internet and have returned. These vintage images were created back when the World Wide Web was young and before the time of wide screen monitors. If you ever surfed the Internet in search of amateur radio web pages then you have probably seen my artwork. In addition to ham radio clip art I also created some really cool 3-D backgrounds that make really neat looking wallpaper for your computer desktop. View my clip art. The $4.00 Ham Radio Satellite Antenna -- Easy, inexpensive and lots of fun!